Slow cooker meals have always held a special place in my kitchen. I love throwing everything into the slow cooker in the morning and forgetting about it. Then when I come back home from work it feels like someone else has made me dinner! It doesn't get any better than that, especially when you are exhausted from your day. I was clicking through my current recipes on the blog and I realized that I have never posted a slow cooker beef stew. Shame on me!! If there is one meal that everyone should try in a slow cooker, it's a hearty, savory stew. This sweet potato and beef stew really hits the spot. 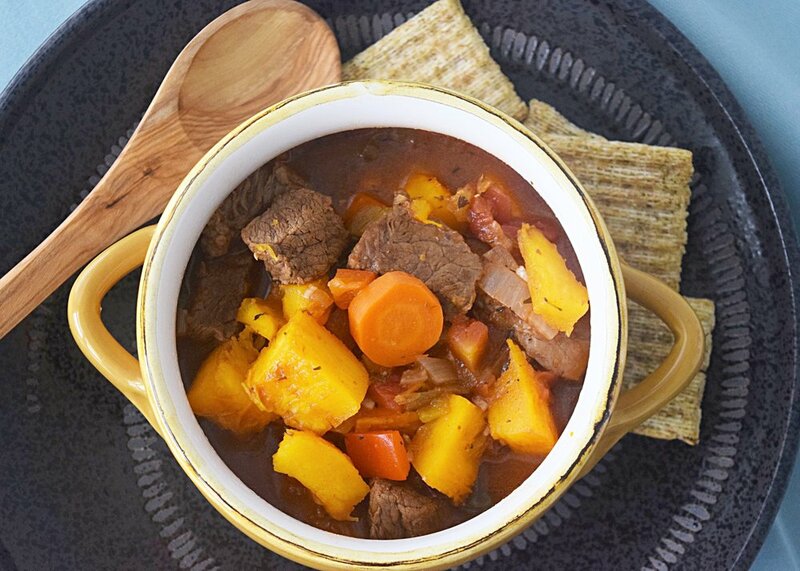 Rich broth, tender beef and savory sweet potatoes combine to make a healthy and filling dinner for fall and winter nights. Searing the beef in a skillet right before you place it in the slow cooker really helps develop flavor and keeps your meat tender. 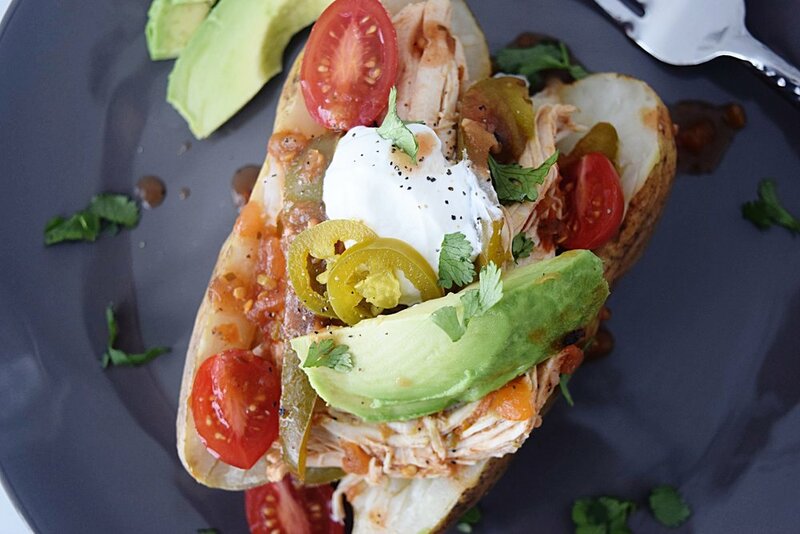 Of course if you are stretched on time, just throw it all in the slow cooker and run! :) What's even better about this stew is that it freezes well so you can always make a big batch and then stash it in your freezer for an even faster dinner. Heat the olive oil in a large skillet over medium high heat. Add the beef stew meat, flour, garlic and thyme and sear just until all sides of beef are browned. Transfer the meat to a slow cooker, and add all remaining ingredients, except for the kale. Stir to combine. Cook on low heat for 4-5 hours. During the last 30 minutes of cooking, add in the chopped kale and stir.